JERUSALEM — The Palestinian city of al-Bireh and the Israeli settlement of Ofra lie exactly seven miles apart along one of the most beautiful ridges in the West Bank, in a breathtaking, craggy landscape colored dusky green and sandstone yellow. But the region’s beauty exists in stark dissonance to the rifts and misfortune it contains. On Tuesday night, as Israeli politicians squabbled over the second phase in the release of 104 Palestinian prisoners Israel agreed to free as part of renewed peace negotiations, a family in al-Bireh exulted, while a family in Ofra was shuttered at home, heartbroken. All 26 of the prisoners released Tuesday were convicted of killing Israelis in attacks before the 1993 Oslo Accords, which granted the Palestinians limited self-rule but failed to bring about an independent state. For Palestinian President Mahmoud Abbas, the release was part of fulfilling an important promise: freedom for all Palestinian prisoners in exchange for peace with Israel. But although Israel is currently engaged in direct peace talks with the Palestinians — relaunched in late July after a three-year hiatus — the move hassparked tensions within Israeli Prime Minister Benjamin Netanyahu’s coalition. Musa Quaran, 45, was one of the 26 prisoners released at midnight Tuesday. In 1992, a 23-year-old Quaran, from al-Bireh, crossed paths with Tzvi Klein, an Israeli resident of Ofra. It was December, and Klein, 42, was driving with his teenage daughter through al-Bireh’s center on their way home from Jerusalem, planning to light Hanukkah candles. As Klein drove slowly through the dense urban area, Quaran and an accomplice shot him in the head. Klein died in his daughter’s arms. Khaled Quaran, 40, has not seen his older brother for 21 years. Reached by phone Tuesday evening, he could barely contain his joy. Khaled, a contractor, does not condemn the murder that sent his brother to jail. “To be honest,” he said, “I would not call it a crime. He murdered the leader of a settlement group.” In fact, Klein was an accountant. Klein and her children are not part of the protest movement that has taken over Israeli public discourse in recent days. On Monday night, a crowd of about 3,000 demonstrators gatheredoutside Ofer prison, near al-Bireh and Ofra, where the prisoners were being processed for release. On Tuesday, with emotions running high, protest against the release reached a new level of hostility when demonstrators planted signs reading, “We forgot you. You died in vain” next to graves at the national military cemetery on Mount Herzl, in Jerusalem. The display provoked widespread anger among bereaved families of all political stripes. 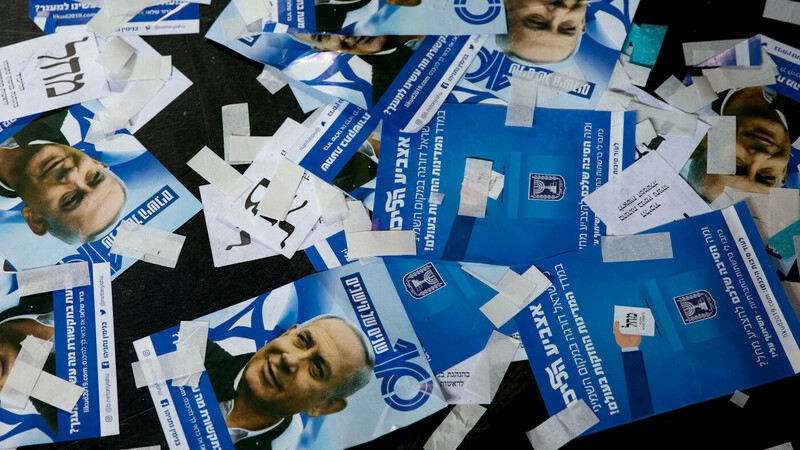 Netanyahu is currently struggling against a rebellious right wing, including parties that may bolt his coalition government if a peace agreement is achieved. Ronni Shaked, a political analyst at Hebrew University’s Truman Institute, said the political climate in Israel made Tuesday night’s prisoner release different from the numerous releases that have freed 12,500 Palestinian prisoners since the signing of the Oslo Accords in 1993. This time, “very right-wing cabinet members … have figured out how to make a huge political gain out of this,” Shaked said. “[Minster Ariel’s] Jewish Home party [is] coming right out of the settlement movement, and they have dragged the public and the media to public protests and disputes,” he added. Israel Radio claimed Tuesday that Abbas has softened his stance against reaching an interim agreement — which would allow for the creation of two states, without solving the thorny particulars of borders — an approach Netanyahu is known to favor. On Wednesday, however, an official close to Abbas denied the report. For those who know the protagonists, Tuesday’s events remain intensely personal. Khaled Quaran said he empathizes with families distressed by the release of Palestinian prisoners. “I can understand their feelings. It is my understanding that they feel the same way the families of innocent Palestinians who are killed by Israeli soldiers feel,” he said.